If you purchase an iPhone or iPad today, it will be brand spanking new; You won’t face problems initially unless there is a manufacturing defect. However, if you continue to work with the iPhone/iPad, you probably will face issues while charging. Sometimes, you will find that the device is not charging or stops to charge after an initial five minutes, and something must be done with the charging port. 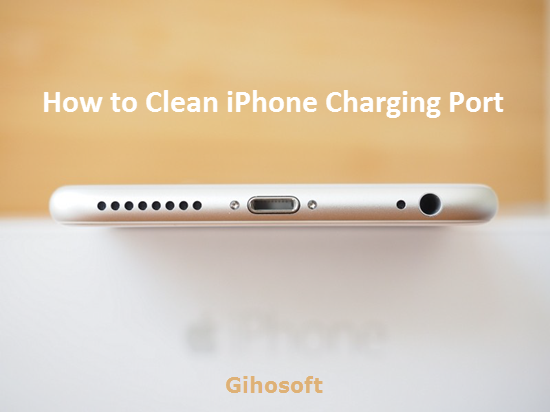 In this article, we will tell you several tips to clean iPhone charging port without any damage to let the device work as usual. According to Apple, an iPhone or iPad tablet should charge when you plug them into an AC outlet using a charging cable. The only condition is that the cable should be the original Apple accessory. If you are unable to charge the device even after your use original charging cable, then you should quickly check other factors as whether the charging port needs to be cleaned. The problem with the charging ports is that they are located at the bottom of your iPhone and is always open. You can’t close the ports even if you are not working with the device. The only way to avoid dust from reaching the charging port is to cover with a good quality case. Yet most people may just ignore the port in daily life, until they find that their device won’t charge and decide to clean it out. You should note that dirt, lint including debris can accumulate inside the charging ports over time. The dust will accumulate inside the charging port even if you keep the device inside a case. And inside the ports, you will find tiny pins, which ultimately charges the device by establishing connectivity with the charging cable. Sometimes it’s the accumulated dust that stops the port pins from connecting with the charging cable, so you can resolve the charging issue by cleaning the charging port as mentioned below. The best way to remove dust and dirt is to spray a huge blow of air carefully over the charging ports. You should take precaution because the air can push the dust into the port making the device unusable. Apple has warned customers against the usage of compressed air when cleaning the lightning port. However, if you follow the steps outlined here you will be able to clean the dust without any problem. You need to get an air can with small straw that can be attached to the nozzle. Shut down your iPhone or iPad. Position the connected straw on one end of the iPhone lightning port. 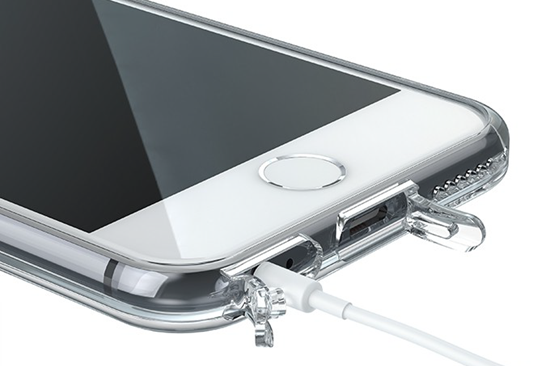 Blow short and slow blasts into the charging port of your iPhone or iPad. And make sure not to perform the blast for more than 2 seconds. Repeat this process several times until you see that the dusts are completely removed. It is also advisable to use a mini vacuum cleaner if you would like to remove any debris and other particles. Afterwards, you should connect the iPhone to your power source to check the result. If the device starts to charge for more than 30 minutes, you need not do any other work. You can use Toothpick method if the compressed air doesn’t work as per your expectations. The main advantage of Toothpick is that it will not damage the charging ports and pins if you use it gently and carefully. You can use pins, needles and paper clips but the port will be damaged beyond repair. We highly recommend you to use the toothpick with round tips because they are not sharp and hence it won’t damage your iPhone. Turn off your iPhone or iPad. Hold your iOS device with one hand and a toothpick another. 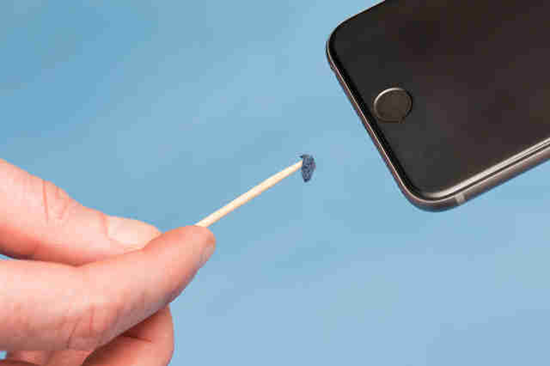 Insert the toothpick into the lightning port. Move the toothpick slowly and gently against the back wall, and blow air occasionally into the port to blow out the dirt. After repeated the actions above, you should also use a good quality flashlight to inspect whether there is any dust, particles and debris left inside the port. If you purchase iPhone or iPad, you need to buy a good quality case with port cover to prevent surface damage and dirt. You can buy flip cover with transparent front for the iPhone or opt for a fully covered cover for iPad. The cover should include a zip, which you can apply while the deice is not being used. The dust and other particles will never enter the cover but will accumulate on the top of the over, which will be easier to clean. It would be better that you use the case on a daily basis to prevent your iOS device from dust. Moreover, you can also choose a storage drawer to store all your gadgets, instead of exposing them to air while not using to accumulate dust. Even though it’s easy to clean iPhone charging port, you should make sure not to damage the pins. If the charging port gets damaged, then you will need to have the port replaced, which would be a tough task, or you won’t be able to work with the device. If you don’t know the correct way to clean the charging port, you should find a professional, or approach a professional mobile repair shop. The technicians will inspect your iOS device and perform the required work in a correct way. You will have to pay a nominal service charge to perfectly clean iPhone charging port but your device will be safe. And before you clean the port or repair it, you should back up your data to iTunes or iCloud first in case of data loss. If you lost or deleted important data accidentally, you can use Gihosoft iPhone Data Recovery to get back the deleted data from iPhone or iPad.